Here is a quick and easy download to help you start your project. These are applicable to all types of pole barns. 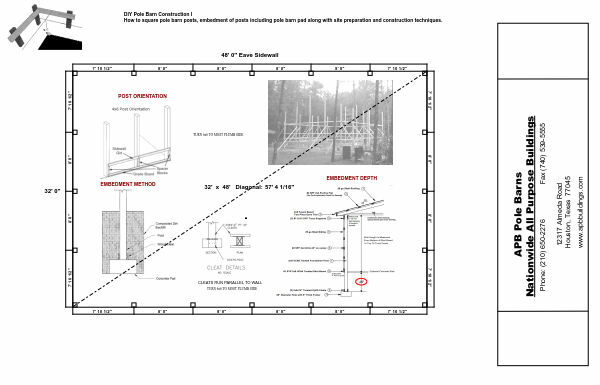 The pdf files provide a quick reference for everything you need to know about pole building post embedment and laying out your jobsite. Do you sell plans in Florida? We sell plans with building packages, delivered and unloaded.